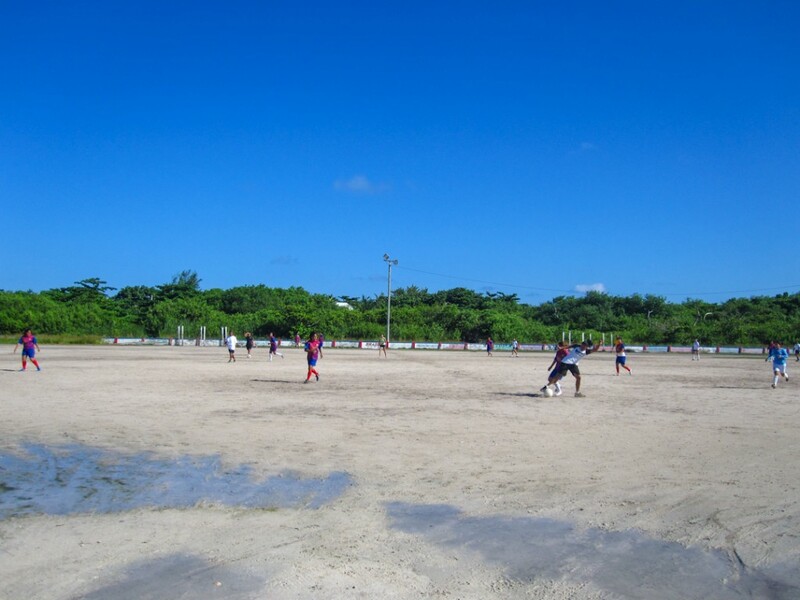 A large crowd of spectators gathered at the Ambergris Stadium on Saturday, October 12th to cheer on player as they competed in a one day football marathon organized by Ernildo Jones in collaboration with the San Pedro Town Council (SPTC). 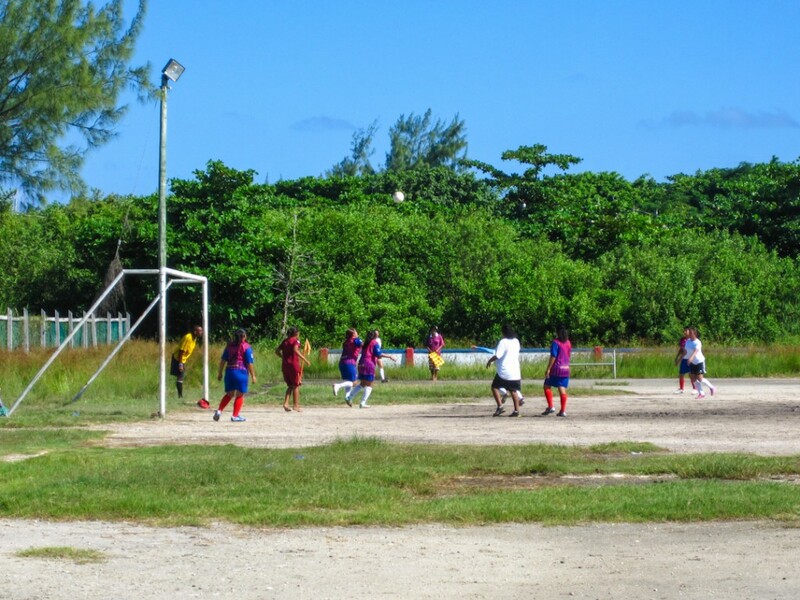 The games commenced around 10AM and by 4PM the winning teams were awarded a trophy and prizes. 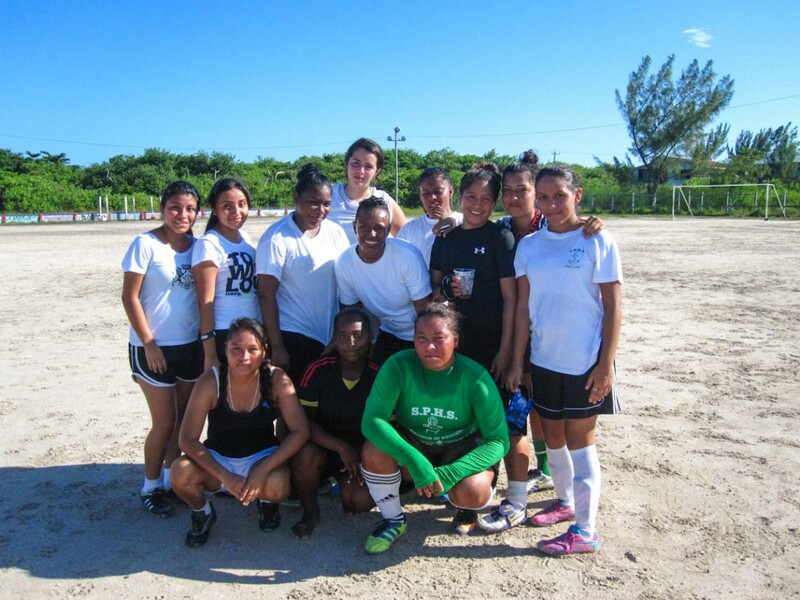 The first game was between the San Mateo Strikers and San Pedro FC. The boys played like professionals, but in the end the San Mateo Strikers defeated San Pedro FC in a 2-1 game. 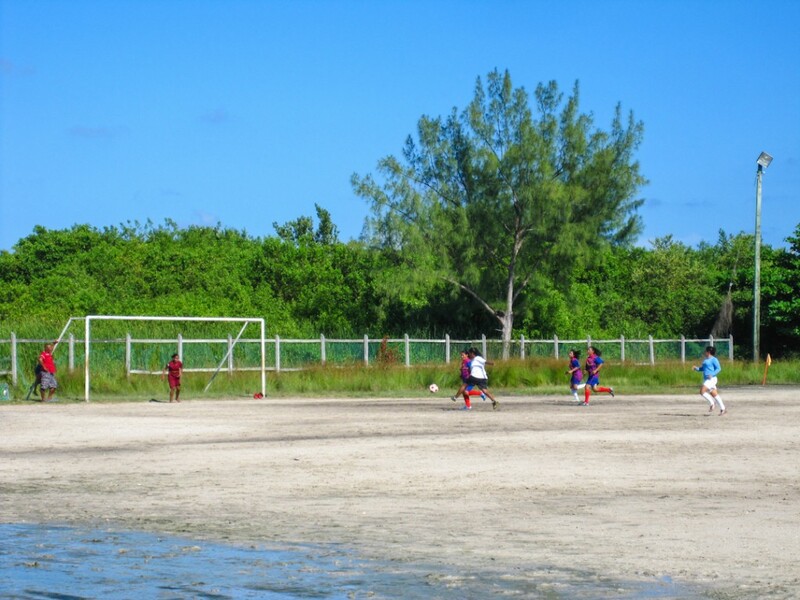 The second male game was between team Under 20 and Team Rest of the World. 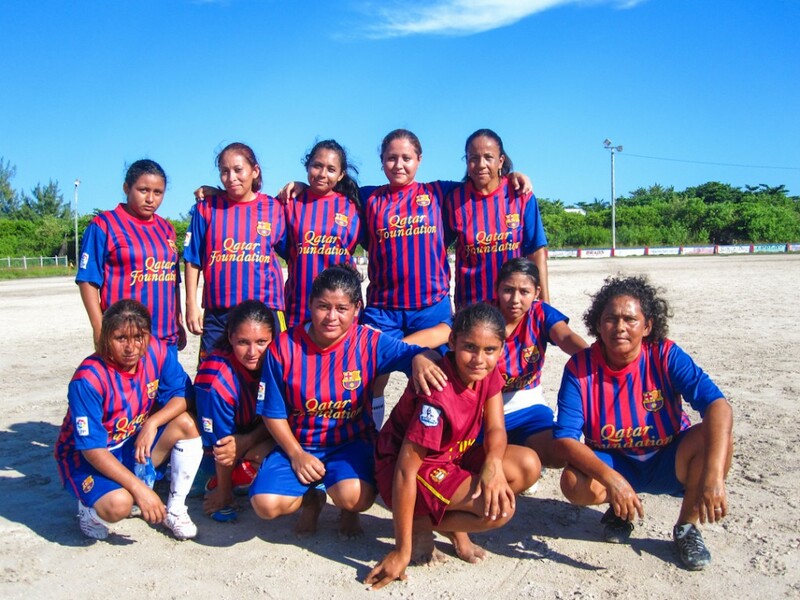 This game was extra fierce, but once again it ended in a 2-1 game in favor for Under 20. 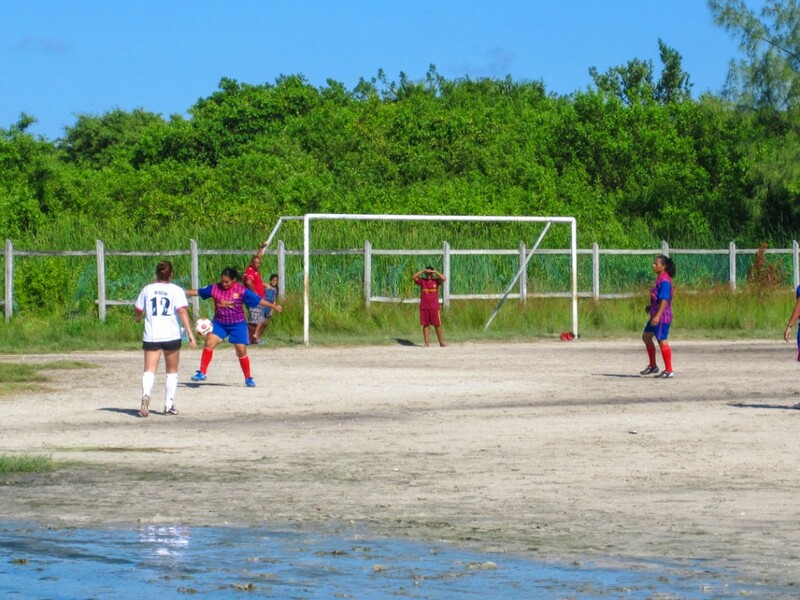 However, garnering the most attention was the female face off when the Sartenja Stars took on San Pedro’s Ultimate Pelican Stars. 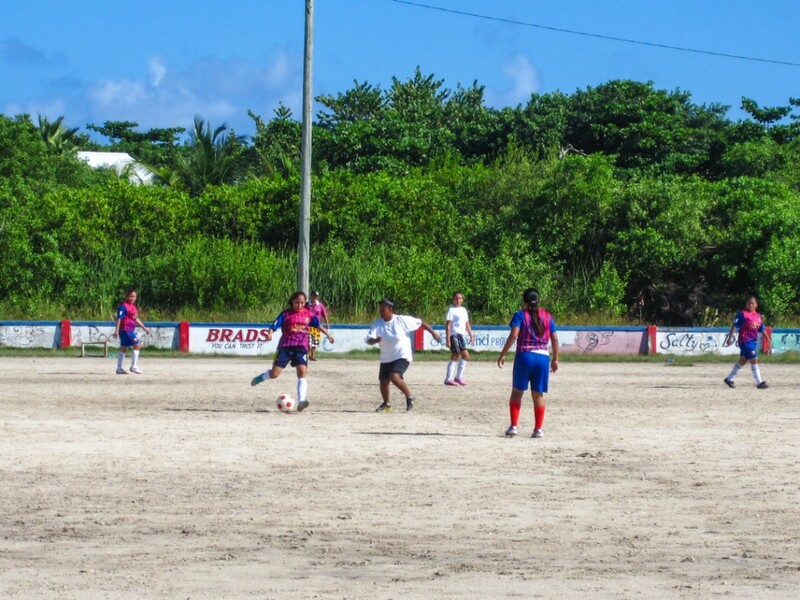 The girls for both teams were in it to win it with each team scoring to tie, but with a last minute goal, the Sartenja Stars took the game, winning 5-4. 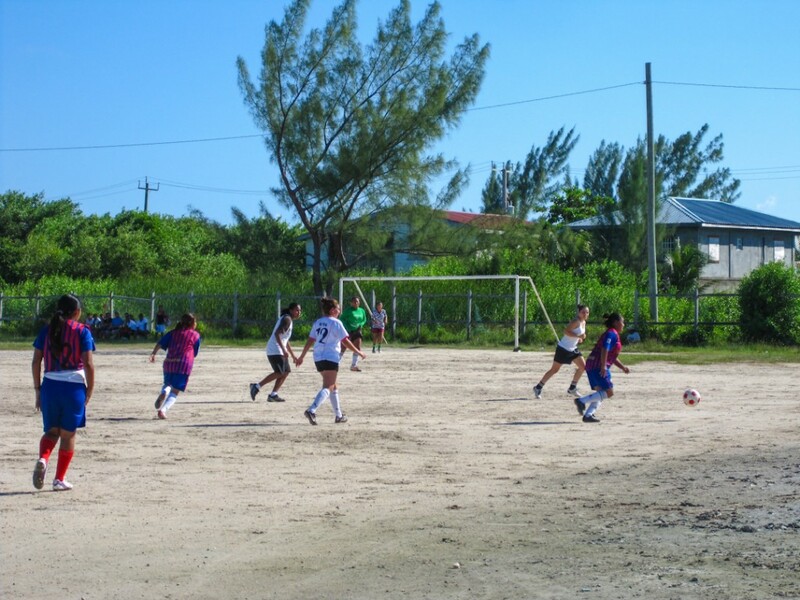 According to Jones, the purpose of this tournament was to promote a healthy recreational alternative for young children and teens, in an effort to steer them away from drugs, alcohol and/or violence. 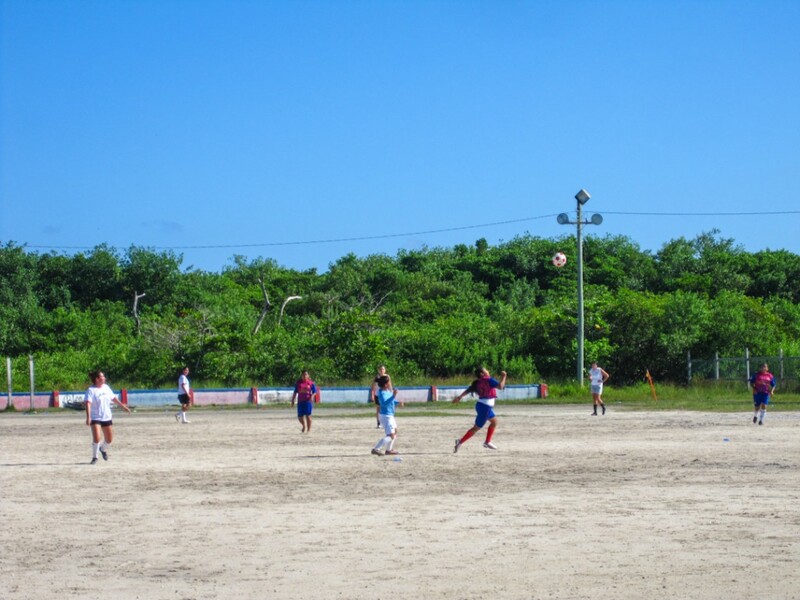 Football is the most popular sport in San Pedro, which is shared with all generations, and is a great outlet for all that energy. Organizers would like to thank the San Pedro Town Council, Gabriel Nuñez, Omar Arceo, Clemente Caliz, Jaime Requena, Wally Nunez, Anna Najarro, El Fagon, Local’s Restaurant and Bar, Estel’s, PUP executives, Coral Cable Vision and The San Pedro Sun. They also thank the referees for guiding the games, and the spectators for attending and making the marathon such a success. The San Pedro Sun congratulates all the youth that participated, and looks forward to more of these great events. Next up for the Ultimate Pelican Stars is a rematch in Sarteneja, Corozal on Saturday, October 19th. Contact Ernildo Jones for further details at 605-6885.